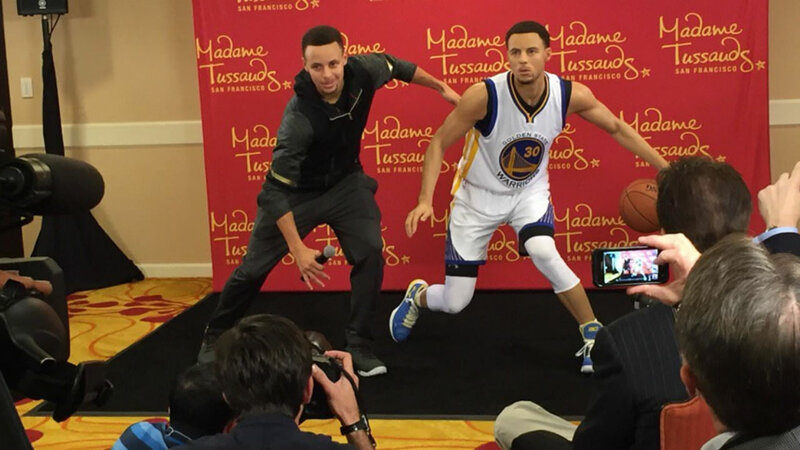 OAKLAND, Calif. (KGO) -- A wax double of Steph Curry for Madame Tussauds San Francisco was unveiled Thursday in Oakland, Calif. The life-like figure took a team of sculptors four months to create and cost $350,000. "I had these little short shorts on and obviously this pose and I had to try and stay as still as possible so they could get every angle right, and it turned out well, so I guess it was worth it for sure," Curry said. Curry says it's a great honor, and adds, one of the first dates with his wife was at the Madame Tussauds in Los Angeles. Click here for more stories and videos about the Warriors.